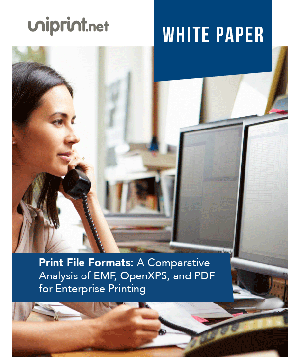 UniPrint is a PDF based Universal Printer Driver platform created to streamline and improve printing reliability for server-based, Cloud and Server-less environments. 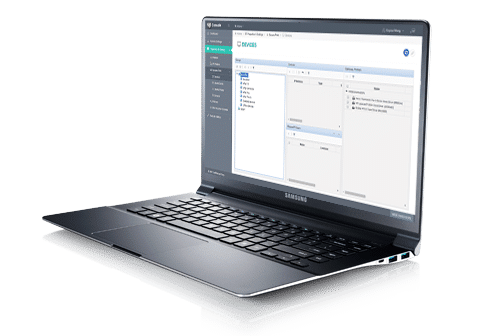 UniPrint Infinity software optimizes printing functionality, minimizes printer management, improves print security, reduces bandwidth consumption, and enables anywhere, anytime, any device printing across different platforms for end users. 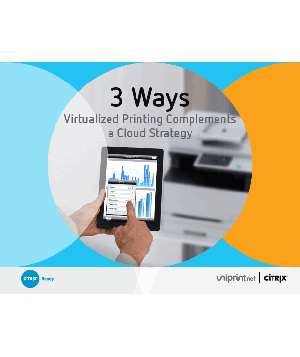 UniPrint Infinity products focus on simplifying IT management, improving workflow, reducing costs and increasing security around enterprise printing operations. 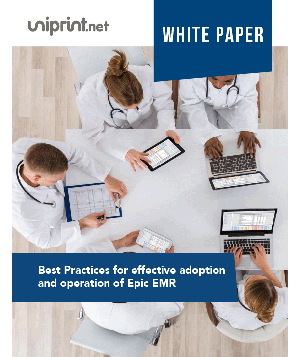 It enables system administrators to spend less time managing print-related services, while increasing end user workflow. 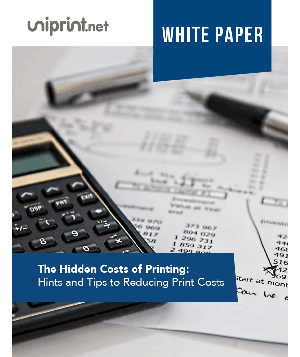 UniPrint Infinity is built from the ground up to solve your organization’s biggest challenges. 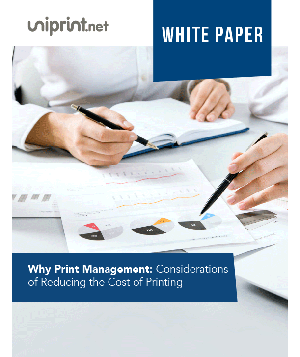 If you are looking for smarter ways to scale your workflow and reduce costs, the power of UniPrint Infinity can help manage your every day print-related tasks that slow you down all in one centralized location. 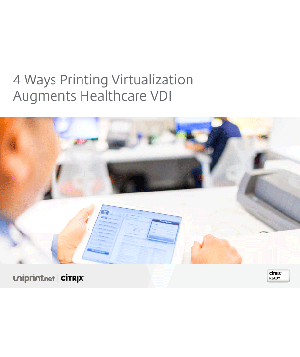 Each of the remote sites represent how UniPrint Infinity can be deployed and used to print through a remote session whether it be a Citrix session, Remote Desktop Services, VMware Horizon View, or Cloud. 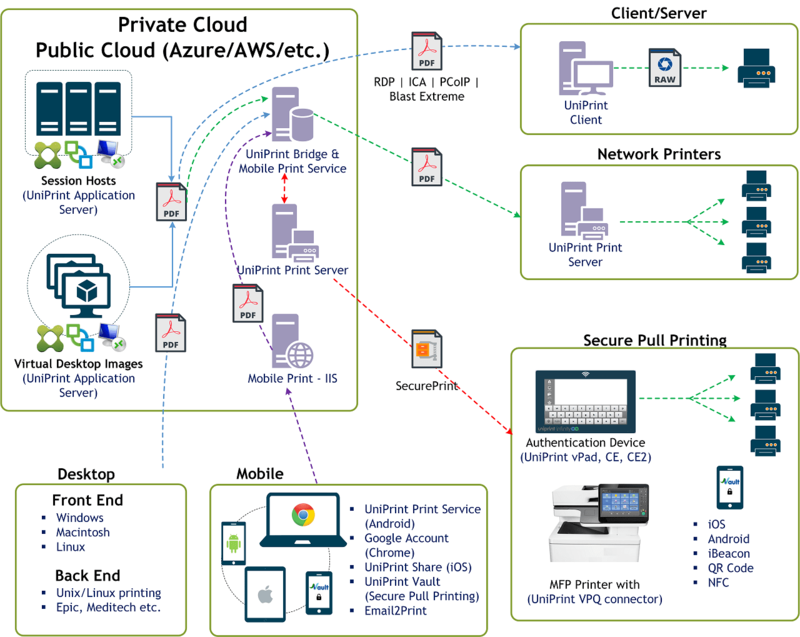 Users print from their server sessions to a printer connected to their workstation. 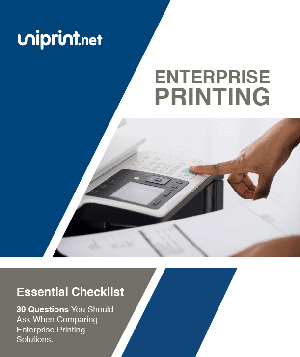 Users print from the server sessions to a network printer connected to the UniPrint Print Server. 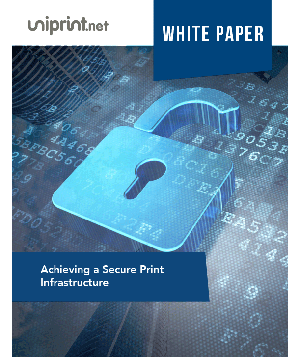 Users print through SecurePrint, whereby they are required to authenticate in order for their print jobs to physically print at a selected printer. 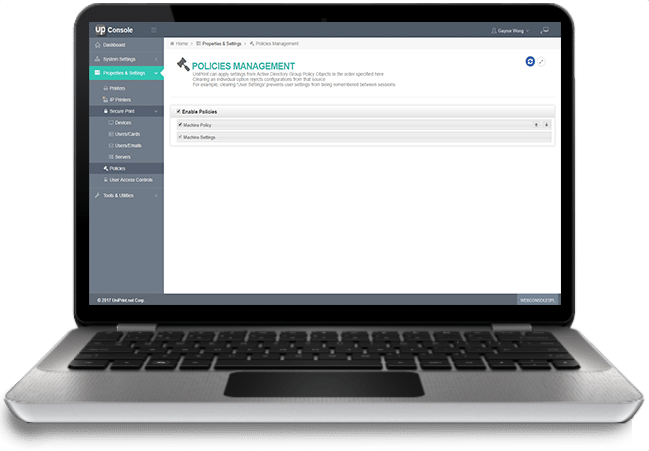 User authentication can be done through a vPad device, the embedded VPQ Connector application, and on mobile devices through the Vault. 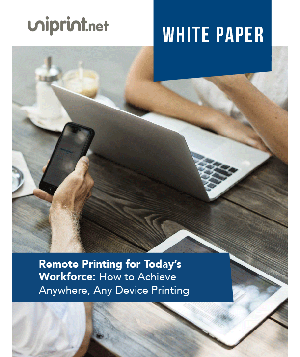 Users print through their mobile devices by installing a free app from an app store which is used to connect to the UniPrint Mobile Service. 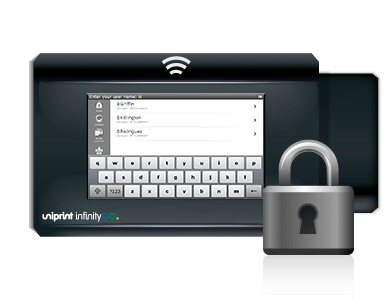 The Mobile Service is the gateway to the UniPrint Infinity printing system and therefore allows users to either print to network printers or use SecurePrint for pull printing. 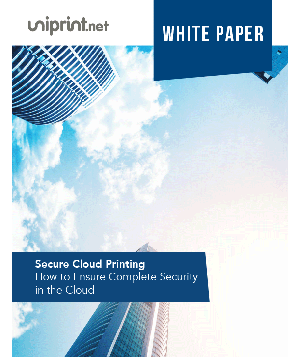 Alternatively, mobile users can also use email to send an attachment to a printer’s email address (as determined by an administrator) and the attachment will print out at that printer. 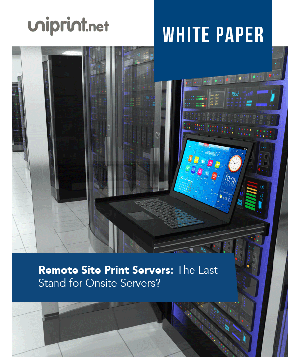 Is the only dedicated server required in the solution. 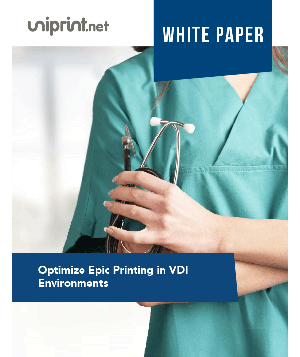 It functions as a license server and a central print management server, it also will host the virtual print jobs when using the VPQ. 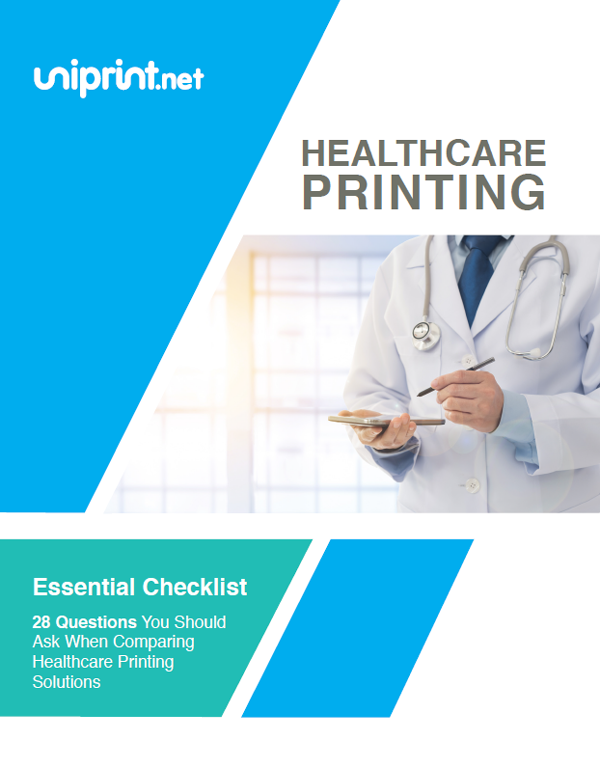 This is typically a windows print server, our software will install on top of existing Microsoft print servers and will collect all the printers, allowing them to be accessed by UniPrint. 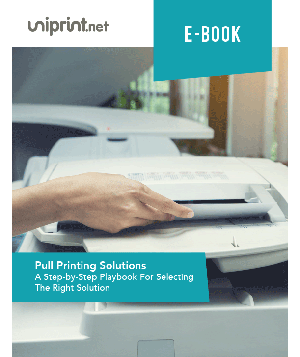 This is also known as the UniPrint agent, it is the universal driver engine which allows us to convert print jobs to PDF in the background, it provides the location-based printing services and virtual print queue. 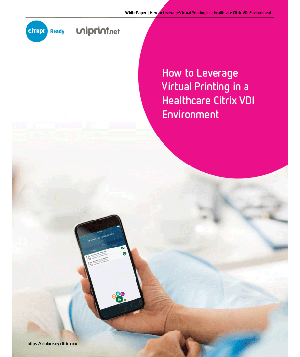 Install anywhere application run. 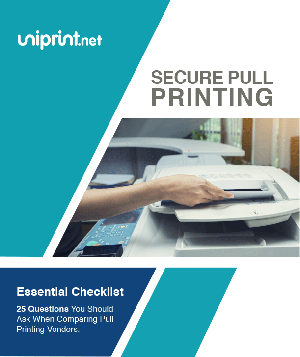 Install the UniPrint client on any Windows or Mac OSX endpoints that you would like to use for Server/Client printing. 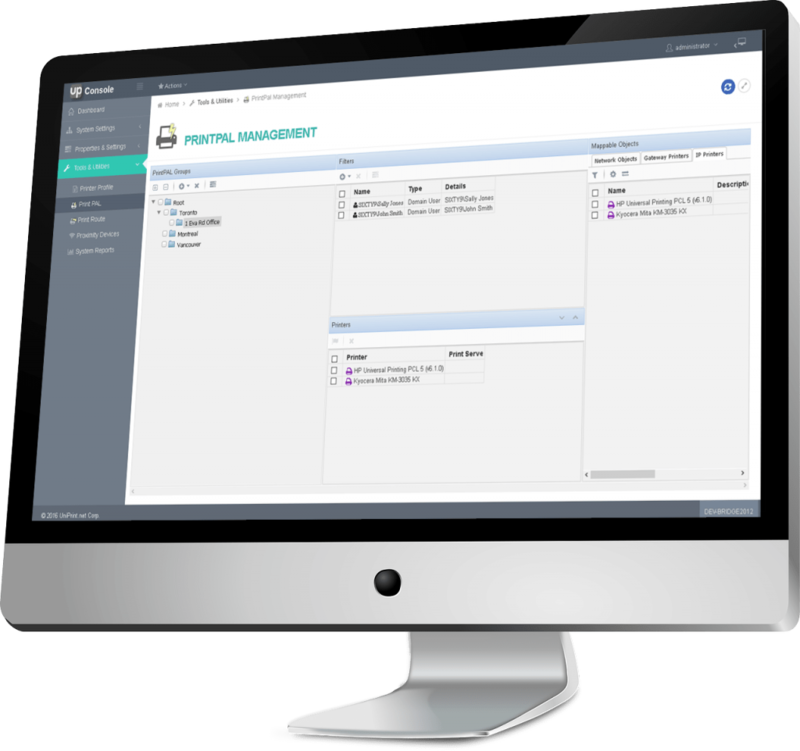 Centralized database stores Printer Profiles and PrintPAL mappings to be replicated and reduces interruptions to SecurePrint and the Statistics modules.